Home \ Tag "Team Catfish"
Mark Tobin of The American Outdoorsman and Jeff Williams of Team Catfish discuss letting the big ones go. Though they are talking about catfish, this can apply to many species. 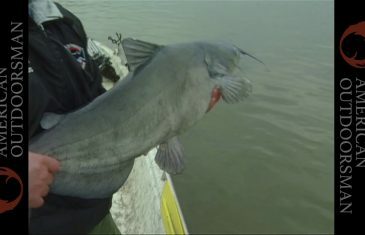 Mark Tobin and Jeff Williams from Team Catfish get into some outrageous twofer action at Lake of the Ozarks in Missouri.